20 Additional Thanksgiving Devotionals may be found at this link. We find it so easy to thank God for the flowers, the springtime, the gentle winds, and the good health we enjoy. Very few of us, however, find ourselves thanking God, also, for the storms, the wintertime, the nighttime, and the sickroom experiences along the way. Yet, these latter experiences are likely to have wrapped up within themselves life’s richest blessings. In thanking God for “all things,” have you thought to thank Him, too, for the hard things of life? Fanny Crosby’s greatest blessing came through blindness; John Bunyan’s greatest contribution was made possible by imprisonment; Beethoven’s sublimest compositions were impelled by deafness. Many of our most useful inventions were born from direct experiences. The world’s greatest gift, salvation, would never have come except Gethsemane, Golgotha, and the open grave. Let us search for the hidden blessing of every such experience. Father, help me accept life’s storms as rich blessings. *Source: Open Windows – Author: Chester Swor – deceased; evangelist and popular speaker at students; dean of men and assistant professor, Mississippi College; author. Originally published November 21, 1941 – reprinted in Open Windows in Fall, 2011 edition for November 25, 2011 daily devotion. I often use the Open Windows devotional guide as an inspirational resource for my personal daily devotion. I’ve reproduced one of these devotions above because it says so much in such a few words. It has indeed inspired me to be thankful for ALL things. At times I have been so focused on “asking” in my prayer life that I have often neglected to thank God for “the storms, the wintertime, the nighttime, and the sickroom experiences” that my wife and I have faced over the years. On this Thanksgiving day 2011, as you gather around your table with your family for a prayer of Thanksgiving will you also include thanks for the Blessings in Disguise that God has used to shape and mold your life? I certainly intend to do so!! Thank you “Open Windows,” and thank you Chester Swor, for this short but powerful devotional gem. Father, forgive me for focusing so much of my prayer life to asking and so little to thanking you for the blessings of life’s storms. … the message below from a dear relative is so much appreciated and I’m posting as an adjunct to this Article so you can enjoy as well. 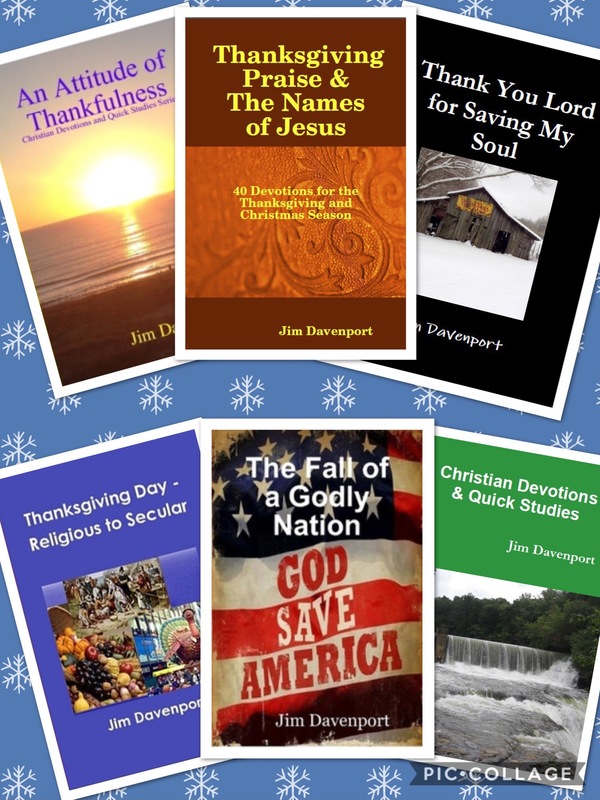 Jim D.
Jim, thank you for the wonderful Thanksgiving devotional. While in college I attended a state BCM (formerly BSU) convention. A man of very small stature with an obvious limp was introduced as the speaker. He began his message and the first thought one had was “How can I listen to this high-pitched gravelly voice and focus on the message.” That thought quickly disappeared as his words penetrated our hearts, especially mine. He had written a book called I DARE YOU (I think that is correct.) I bought it and realized that my life had never been daring enough for the Lord Jesus. That man was Chester Swor whose message impacted my life forever. As holidays approach may we all DARE to speak of the Saviour who came as a baby, lived a perfect sinless life of love and grace, gave his life for our sins, rose again, was resurrected, and returned to his Father. How wonderful He is to us in all times, good or bad! But thank God, He is there when the way is dark and drear and we can still be full of joy and peace.